I came upon a doctor who appeared in quite poor health. I said, 'There's nothing that I can do for you that you can't do for yourself.' He said, 'Oh yes you can. Just hold my hand. 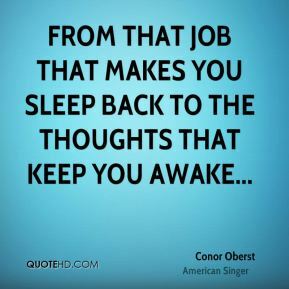 I think that that would help.' 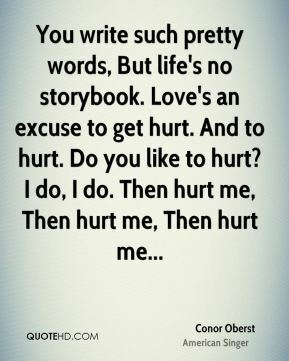 So I sat with him a while then I asked him how he felt. 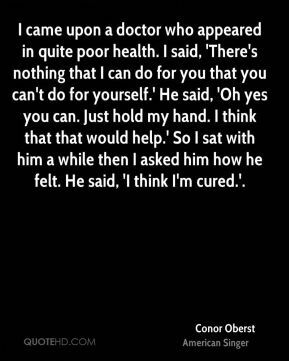 He said, 'I think I'm cured.'. 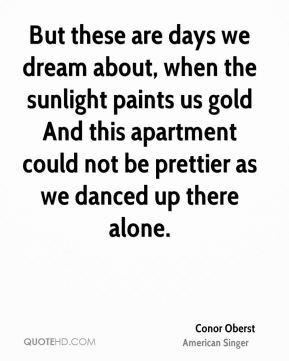 But these are days we dream about, when the sunlight paints us gold And this apartment could not be prettier as we danced up there alone. 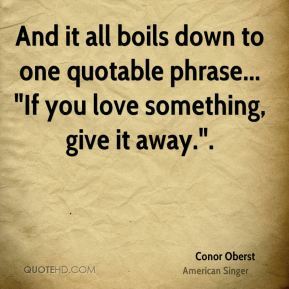 And it all boils down to one quotable phrase... "If you love something, give it away.". They say they don't know when but a day is gonna come. When there won't be a moon and there won't be a sun. 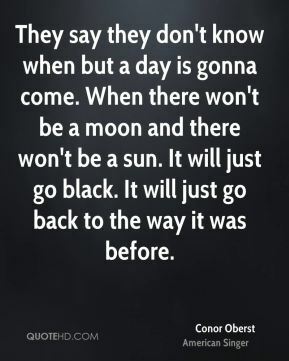 It will just go black. It will just go back to the way it was before. Well, winter's gonna end I'm gonna clean these veins again So close to dying that I finally can start living. 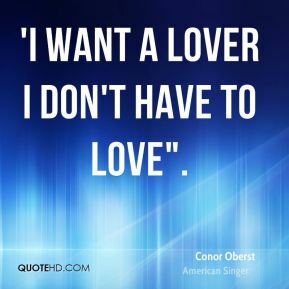 'I want a lover I don't have to love". 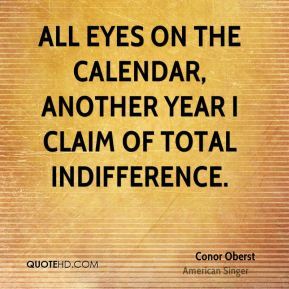 All eyes on the calendar, another year I claim of total indifference. 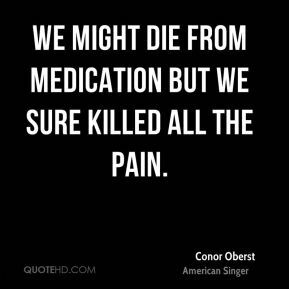 We might die from medication but we sure killed all the pain. 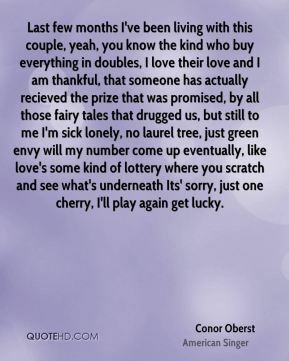 Last few months I've been living with this couple, yeah, you know the kind who buy everything in doubles, I love their love and I am thankful, that someone has actually recieved the prize that was promised, by all those fairy tales that drugged us, but still to me I'm sick lonely, no laurel tree, just green envy will my number come up eventually, like love's some kind of lottery where you scratch and see what's underneath Its' sorry, just one cherry, I'll play again get lucky. When I was a kid, I used to fantasize about death. Not that I was suicidal, but there was an attraction there. I went from 'I don't care what happens' to 'everything is terrifying.'. 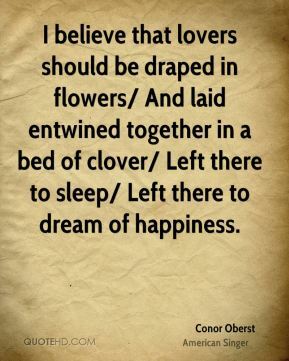 And we will share a drink. Yeah we will share our fears and they will know how I love them. 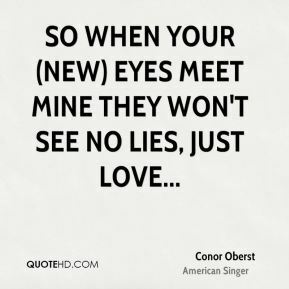 They will know how I love. They will know how I love them. I am nothing without their love. 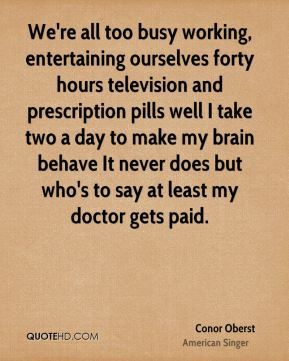 We're all too busy working, entertaining ourselves forty hours television and prescription pills well I take two a day to make my brain behave It never does but who's to say at least my doctor gets paid. 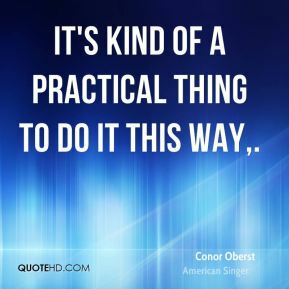 It's kind of a practical thing to do it this way. 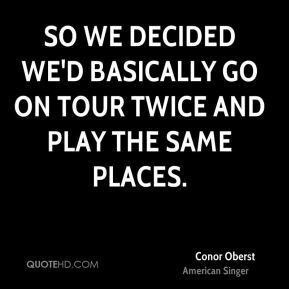 So we decided we'd basically go on tour twice and play the same places. 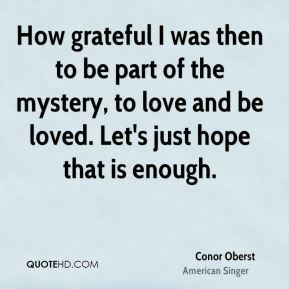 How grateful I was then to be part of the mystery, to love and be loved. Let's just hope that is enough. 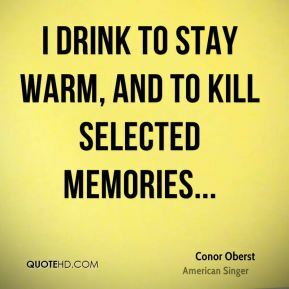 I'll start drinking like the way I drank before. 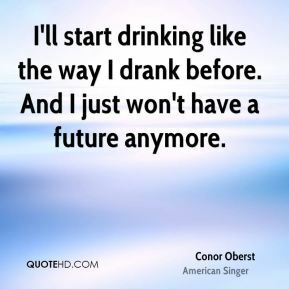 And I just won't have a future anymore. 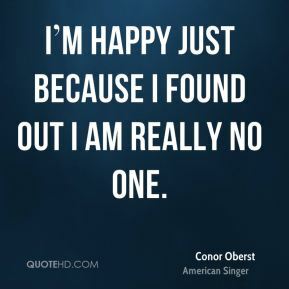 Im happy just because I found out I am really no one. 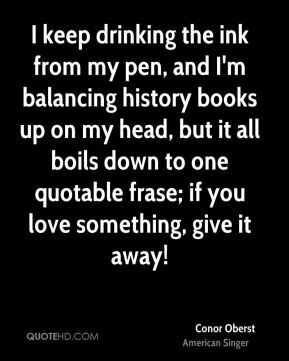 I keep drinking the ink from my pen, and I'm balancing history books up on my head, but it all boils down to one quotable frase; if you love something, give it away! 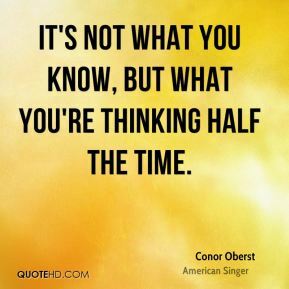 It's not what you know, but what you're thinking half the time. 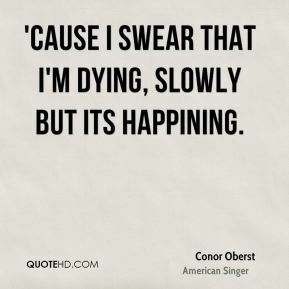 'Cause I swear that I'm dying, slowly but its happining.